The reading/discussion series: Jane Austen Endures will celebrate the 200th anniversary of Pride and Prejudice and explore Austen’s publishing staying power. 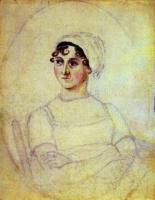 The two-book series sponsored by the Vermont Humanities Council will also examine Austen’s universal appeal, her talent for capturing the time she lived in, and her comic, satiric tone, among other aspects of her writing. Richard Wizansky will lead a discussion on April 4, 2013, beginning at 1:30 PM in the Library’s meeting room on Pride and Prejudice. Richard Wizansky will lead a discussion on April 25, 2013, beginning at 1:30 PM in the Library’s meeting room on Sense and Sensibility. Books are available at the Main Circulation desk.